To read PDF files, you need Adobe Reader. There are versions of Adobe Reader available for your PC and mobile devices running Palm OS, Pocket PC or Symbian OS. Click here or on the button below to download a free copy from Adobe's website. Each book here is available in its entirety as a single PDF, ePub or mobi file. You may download the book to read on your computer or on your mobile device or to print it. Alternatively, each book is also available as individual chapters that may be read online as HTML text messages or as PDF files. Select 'Save Target As...' in the pop-up menu that appears. Choose the folder to save to and click 'Save'. Note that PDF files may take a while to open or download depending on the PDF file size and the speed of your Internet connection. In response to requests by readers, questions have been added at the end of each message for personal reflection and group discussion. The text is the same as the first edition. Why did God allow Satan to afflict Job so severely? Why did Job falter in spite of his moral and spiritual stature? Why didn't God directly answer Job's perplexing questions? Was Satan triumphant? Was God satisfied with Job? Was Job a mere, helpless victim in a contest between God and Satan? Is there meaning to the whole episode? These are some troubling questions that confront reflective readers of the Book of Job. Understanding Job is an attempt to answer these difficult questions. More than that, it seeks to help us understand the person Job, his state and the meaning in his heart, and how he fared before, during and after the severe trials that came upon him. The content of this book is based on messages preached in a local Christian congregation. The underlying conviction is that the Book of Job is a very profound and meaningful book through which God desires to teach us deep truths - truths that are critical to the living of a life of whole-hearted, unwavering commitment to God. Family circumstances in recent years have dictated that I read a significant number of books on the topic of suffering, grief and loss. I consider UNDERSTANDING JOB to be one of the best. By the very way that it is set out it brings a useful clarification to the main points of this Old Testament Scripture. It is very easy to get lost in the long diatribes of Job's friends and his responses, but this book helps to prevent this. The author's comments stick close to the biblical text and he lets other Scriptures, both Old and New Testament, interpret it. I sense that the author has considerable wisdom and experience in counselling from his useful insights for people helping those actually going through suffering or other experiences they cannot presently understand. In my opinion, Mr Lim paints a balanced picture of what Job did right and where he failed. The book would be useful for someone going through suffering or traumatic loss when our understanding can easily become warped. God's sovereignty is firmly upheld whilst compassion towards Job's predicament is clearly exhibited. I sensed a good balance as far as Calvinist and Arminian viewpoints are concerned. It was heart-warming to read encouragement to both longing for truth and for the exercise of self-control and discipline. In some places the author almost seems like a modern day mystic, in the best sense of the word, and reminded me of the better titles of A W Tozer. The author is at the same time theologically competent and very practical. He leaves no room for any "health and wealth" theories. One slight criticism is that it still bears the marks of being a series of addresses and more rigorous editing could eliminate some of the repetition, but don't let this put you off reading it! Praise be to God that he has not left us without instruction on this important question. He has placed the book of Job in our hands to address this issue from both an earthly and a heavenly vantage point. But Job is a long book and for many is hard to understand. 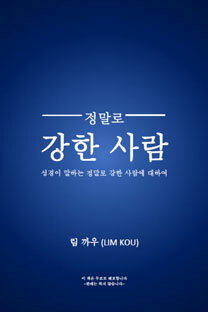 I am therefore grateful that pastor and author Lim Kou has unwrapped the important teachings of this book through his work, Understanding Job. Through Understanding Job I have come to understand more of God’s purposes through the life of Job and the meaning of the tremendous suffering he endured. Reading this book has helped me understand God’s ways so that I may apply that knowledge to my own life. I have also gained insight into spiritual warfare and a new understanding of how the events of my life form part of God’s much larger purpose. 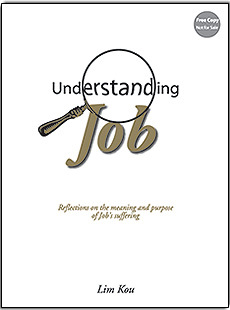 I recommend Understanding Job as an important book that should be read by all believers. ¿Por qué permitió Dios que Satanás afligiera a Job tan severamente? ¿Por qué flaqueó Job a pesar de su estatura moral y espiritual? ¿Por qué Dios no le respondió directamente a Job sus desconcertantes preguntas? ¿Estaba ganando Satanás? ¿Estaba Dios satisfecho con Job? ¿Era Job tan solo una simple e indefensa víctima en una competencia	entre Dios y Satanás? ¿Tiene algún sentido todo este episodio? Éstas son algunas de las inquietantes preguntas que enfrentan los que leen de manera reflexiva el libro de Job. Entendiendo a Job es un intento de dar respuesta a esas difíciles interrogantes. Más que eso, trata de ayudarnos a entender la persona de Job, su condición y el sentido en su corazón; y cómo le fue antes, durante y después de las pruebas severas que vinieron sobre él. El contenido de este libro se basa en mensajes predicados en una congregación cristiana local. La convicción que aquí se encierra es que Job es un libro muy profundo y de amplio significado, mediante el cual Dios desea enseñarnos profundas verdades - verdades que son importantísimas para tener una vida de compromiso sincero e inquebrantable con Dios. Gloria a Dios que él no nos ha dejado sin instrucción sobre esta pregunta tan importante. El ha colocado en nuestras manos el libro de Job, el cual se dirige hacia este tema desde un punto de vista terrenal y celestial. Pero Job es un libro largo y para muchos es difícil de entender. 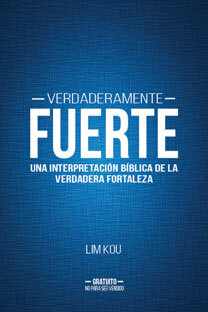 Por eso estoy tan agradecido de que el pastor y autor Lim Kou ha desenvuelto las enseñanzas importantes de este importante libro, mediante su obra Comprendiendo a Job. Por medio de Comprendiendo a Job he podido entender más ampliamente los propósitos de Dios en la vida de Job y el significado del arduo sufrimiento que él experimentó. La lectura de este libro me ha ayudado a entender mejor las formas en que Dios obra para poder aplicar este conocimiento a mi propia vida. También he aumentado mi discernimiento acerca de la guerra espiritual y tengo una nueva comprensión de cómo los sucesos de mi vida forman parte de los amplios propósitos de Dios. 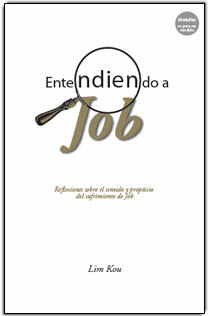 Yo recomiendo Comprendiendo a Job como un importante libro que cada creyente debe leer. Miqyaer aqjeq ghae-eu naef Saqdaq nae Yorbav-anr teunav nav-aer bikhaeq-euq la? Yorbav guiqlanq saflarpaw ghaq teunavni khav-eu, aqjeq mirnae aqjox-aer ghaq baq-ir-euq la? Aqjeq mirnae, Miqyaer, Yorbav zanqler-awr narhaq-eu dawq-anr maqaer khofnaeq-euq la? Yorbav-aq, tiqjeq-iq maqjanr nya-eu Miqyaer & naef Saqdaq aqmui mui-eu jeq pyeuf-eu taefla laq? Yorbav-euq garkawv-anr hawngae dzawgeuf-eu jeq anrmae laq? Yorbav Sanqbof gui-eu tsawrhaq deuq-euq nuima lafkhoer narhaq-eu dawq heudeuq narhaq larnya-eu mae. 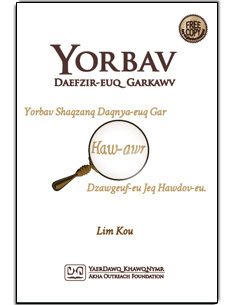 Yorbav Daefzir-euq Garkawv sanqbof heudmq-aq, narhaq-eu dawq heudeuq-anr aerkhof-awr, Yorbav kandui dui-eu shaqzanq yadaq-eu maeqhu, daqluf ngae hawr-eu daqghaq-euq gar hawngae, aqjerjeq mawrlar ngalaer povtser taq-euq ma. Sanqbof heudmq lafkhoer boftaq-euq jeq-aq, Kalizaq armur-anr maeq-euq Yorbav sanqbof-anr nae dzawgeuf paq-aer ghae-eu deuqmae. Aqdui daefzir dawqtawvluf Miqyaer-anr lawrnaeq a’naeq jir-awr maqpov maqpar larni daef-eu gharduq—Miqyaer, aqdui-anr nafdui dui-eu yawtsaq yawdawr heudeuq bidzaw geufmawf-eu mae. As Christians, it is important for us to understand the fundamental issues of life from a biblical perspective. What is of primary importance to the Lord? What is the meaning and purpose of our time on earth? How can we live well as citizens of heaven in a fallen world? What is true success and how can we live a successful life? The Two Kingdoms seeks to draw answers from the Scriptures to these key questions. It considers various important issues pertaining to the kingdom of God and the fallen world to help us grasp the true meaning of our earthly existence and the values, perspective and approach in life we should adopt. This compilation of eight messages can help you discover in a deeper measure the meaning and joy of living in and for the kingdom of God. I heartily endorse The Two Kingdoms by Lim Kou. It defines the basic issues involved in our walk with the Lord in this fallen world. The teachings are full of clarity and insight, making it an excellent discipleship tool for all believers. Coordinating the printing of this excellent book in Cuba has been a great privilege for me. The vast majority of Christians on the island have come to follow Jesus in just the past 15 years, and churches of all denominations continue to grow at a rapid pace. The heartcry of all my colleagues there is for discipleship material that will help believers truly follow the Lord they have believed in. Lim Kou's book addresses this urgent need in a powerful way and helps Christians understand how to live for the Lord on a daily basis. The kingdom of God/kingdom of heaven is the central theme in the synoptic gospels and in the teachings of the Lord Jesus Christ. It’s been quite a while since I last heard substantial preaching on the kingdom of God, so it’s good to read The Two Kingdoms by Singaporean lawyer-turned full time Christian worker Lim Kou. He handles the topic with clarity and with lawyer-like precision, and faithful to the biblical text. 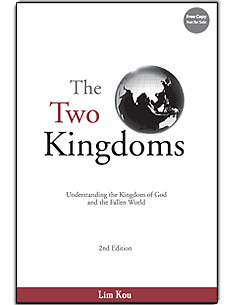 Composed of eight messages that have been edited for print, The Two Kingdoms paints in broad strokes what the kingdom of God is like based on New Testament passages, how it contrasts with the kingdom of this world, and how Christians can live well in this fallen kingdom without surrendering to its pervasive spirit. The style is authoritative; and the text is engaging to read and to study. The author highlights the kingdom of God as one that is not primarily “eating and drinking, but righteousness and peace and joy in the Holy Spirit.” He firmly points out that it is in essence, a moral and spiritual kingdom and its emphasis is on the spiritual, rather than on the material and visible realm. Reflecting on this definition recalled to my mind a friend who felt a twinge of guilt because she longed to work outside her local church. “Parang di na kingdom of God ang papasukan ko, eh,” she said. And she heaved a sigh of relief later upon realizing that the kingdom of God is larger than the local church! It seems she was deeply influenced by her previous church’s definition of the area of the kingdom of God as being coterminous with the frontiers of the church’s power and authority. The author gives a face and a name to the pervasive “spirit of the world” that he warns about. He alerts us to its manifestation in songs and music, apparel and fashion, in what we read and watch. It is present in the world of business, in the world of politics, in art, literature, movies as well as in human relationships and even in sports and games. Exercising vigilance is important. One major question confronting us these days is this: how should Christians view doing well in career, achieving status and recognition in society and having material wealth? The author is wise to devote the latter half of the book to biblical reflection on the issue of success, ambition and accomplishment. One chapter is a well-thought out study on success from the biblical perspective – the way to attain it and its varied manifestations. And the last chapter considers the value of right motivation and faithfulness in service with Bible characters as models. These varied and practical features make this book a good reference material for pastor-teachers. And given its very readable text, it could serve as adjunct reading material for Bible study and discussion groups for young adults/professionals, and as training material for church workers as well. My only regret is the absence of study or guide questions and/or thoughts-to-ponder box at the end of each chapter. Freelance Editor, Translator and Writer. Como cristianos, es importante que entendamos los asuntos fundamentales de la vida a partir de una perspectiva bíblica. ¿Qué es de principal importancia para el Señor? ¿Cuál es el sentido y propósito de nuestro tiempo en la tierra? ¿Cómo podemos vivir en un mundo caído siendo ciudadanos celestiales? ¿Cuál es el verdadero éxito y cómo podemos vivir una vida exitosa? Los dos reinos trata de extraer de las Escrituras respuestas a estas interrogantes. 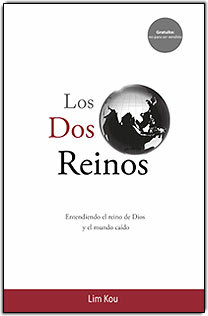 Este libro analiza varios asuntos importantes relacionados con el reino de Dios y el mundo caído, para así ayudarnos a asimilar el verdadero sentido de nuestra existencia terrenal y los valores, la perspectiva y el enfoque que deberíamos adoptar en la vida. Esta compilación de ocho mensajes puede ayudarte a descubrir de una forma más profunda el sentido y el gozo de vivir en y para el reino de Dios. Recomiendo de todo corazón Los Dos Reinos por Lim Kou. El libro define los temas básicos que tienen que ver con nuestro andar con el Señor. Las enseñanzas están llenas de claridad y discernimiento, lo cual hace que el libro sea una herramienta excelente para el discipulado. 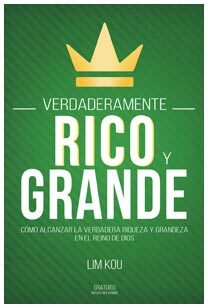 Ha sido para mí un gran privilegio coordinar la impresión de este libro en Cuba. La gran mayoría de los cristianos en la isla han llegado a ser seguidores de Jesús en sólo los últimos 15 años y hoy en día iglesias de todas las denominaciones continúan creciendo rápidamente. El anhelo de todos mis colegas allá es el de tener material de discipulado que ayude a los creyentes a seguir de cerca al Señor en quién han puesto su fe. El libro de Lim Kou se dirige hacia esta urgente necesidad de una manera poderosa y ayuda a los cristianos a entender cómo vivir para el Señor día por día. It delights the heart of God when His children learn to truly walk by faith. But just what is true faith and how does one live by faith? Does having faith mean believing in the unseen? Does it mean believing without good reason and acting without understanding? Does it mean believing in something sincerely and firmly, with the preparedness to act on it? Why do we have to live by faith to gain God's approval? Where does faith come from and how does it grow? How can we exercise faith when we feel spiritually dry and God seems far away? Many may find this subject mysterious, difficult to understand and confusing. Misconceptions abound. This collection of eight messages can contribute to an understanding of what biblical faith is, and how one can maintain unwavering faith and a heart on fire for God under all circumstances. 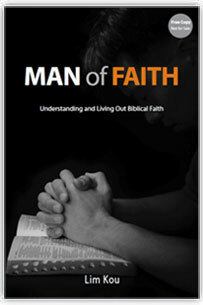 Man of Faith by Lim Kou helps the reader clearly see the false concepts of faith that are common in our churches today. The small section at the beginning of the book on the misconceptions about faith is an expert diagnosis of where many believers have been misguided in their thinking. And the rest of this excellent book teaches us what faith truly is and what the normal outworking of our faith should look like in our daily lives. For this reason, Man of Faith is a book worthy of the attention of every believer. What is true faith? When do you call a person a "man of faith"? When do you say that a person is living by faith? These are some of the questions the book answers. "Man of Faith" is the printed version of 8 messages the author preached to a congregation from 1980-87. It defines true faith, gives the importance of faith and cites a number of misconceptions about faith substantiated with Biblical texts. The author believes that a 'man of faith' lives a life that is centred on Christ. And as he continues to know Christ his faith grows and bears much fruit for God. But it doesn't mean that his life is a bed of roses. Instead his life of faith could also face risks and challenges. He gives emphasis to knowing Christ, knowing the truth, understanding God's ways and prerogatives and cooperating with God in the fulfilment of His plans not only for the individual believer but for the church as a whole. The lives of Mary, mother of Jesus, (how Mary allowed God to carry out His plan through her) and Moses, (how Moses obeyed God to lead the Israelites out of Egypt) were discussed as examples of faith in action. The Exodus account of Moses asking Pharaoh for the deliverance of the people of Israel from slavery is referred to as an outworking of faith. The conversion of Saul, the murderer, into Paul the Apostle, is also cited to better understand the factors contributing to the making of a 'man of faith'. The life of Joseph is also a good example of a life of faith. Joseph was not lured into a life of pleasure. Instead, he steadfastly waited for the Lord's intervention for the fulfilment of God's plan for his life - a plan that would save the life of the people of Israel during the time of famine. The book is a 'must read book' for every Christian. It is also good material for Sunday School classes, discipleship training, cell groups and home Bible studies. It comes with Bible references and questions at the end of every message for reflection and discussion. This will surely help every believer to be deeply rooted in the faith, to be real men and women of faith. I was a bit ambivalent to read this book, Man of Faith. I thought I would encounter theological terminologies and passages that only a Bible school graduate can understand - which I am not. But in simple and understandable way, Lim Kou shared important insights on Biblical faith - where it comes from and how it grows. Citing examples of people in the Bible who lived in faith the truth from God that was revealed to them, he clearly showed that understanding and living out Biblical faith is possible and achievable. That even ordinary man like me can grow in the kind of faith God desires. This book served as a wake-up call for me and hopes it would serve the same purpose for others who will encounter this book. Also I would recommend this book, Man of Faith to be taught in Sunday School classes where both the teacher and student can really have a good foundation and knowledge of Christian faith. I had the privilege of translating this book, Man of Faith into the Filipino language. 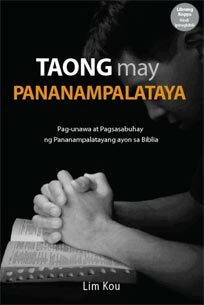 Although the editors opted to use the title “Taong May Pananampalataya” in the Filipino version (instead of the direct translation “Tao Ng Pananampalataya” due to the concern that readers unfamiliar with the Christian faith might find it an awkward-sounding title and be turned-off from reading the book)—the content effectively explained the difference. A man of faith is distinguished from simply a man with faith. Everybody can claim that he has faith but not everybody can truthfully be considered a man of faith. Bro. Kou carefully outlined what he has to say about faith and the man of faith in a profound and insightful manner that theologians can appreciate, yet simple enough that even unbelievers can profit from it. In the first message he defines faith by two aspects: belief in the truth of the Scriptures and the believing response to it—that is, trust in God according to Scriptures and obedience to His Word. He then presented reasons for the importance and meaningfulness of living by faith and directed us, readers, to dwell on what really matter: the unseen realities of God’s kingdom. Indeed, in our present circumstances, it is very important that we focus our minds on the invisible things of the kingdom and found our faith on them so as not to be waylaid by our natural attraction to the visible things of this age. In messages 2 to 8, Bro. Kou proceeds to discuss the dynamics of the life of faith. Faith must be Christ-centered. It begins with Christ—knowing who He is and what He has done and continues on with Christ. It grows as it is lived out by Christians in obedience to the Word of God. The life of faith of Mary, Moses, Paul and Joseph, that Bro. Kou used, are powerful illustrations of such obedience. They were people defined and consumed by faith in God and zeal for His kingdom. On the whole, this book helps us better understand the nature and outworkings of genuine biblical faith and with a deeper appreciation of such faith, by God’s grace, we can strive to be the men and women of faith that we ought to be as the Lord’s discples. I have been blessed translating this book. Nasisiyahan ang puso ng Diyos kapag ang Kanyang mga anak ay natutong tunay na lumakad sa pamamagitan ng pananampalataya. Ngunit ano ba talaga ang tunay na pananampalataya at paano ba mamumuhay ang isang tao sa pamamagitan ng pananampalataya? Ang pagkakaroon ba ng pananampalataya ay nangangahulugan ng paniniwala sa hindi nakikita? Nangangahulugan ba ito ng paniniwala nang walang maayos na dahilan at pagkilos nang walang pagkaunawa? Nangangahulugan ba ito ng paniniwala sa isang bagay nang totoo at matatag, na may kahandaang kumilos ayon dito? Bakit kailangan natig mamuhay sa pamamagitan ng pananampalataya para magtamo ng pagsang-ayon ng Diyos? Saan nanggagaling ang pananampalataya at paano ito lumalago? Paano natin mapapagana ang pananampalataya kapag ang pakiramdam natin ay tigang tayo sa espiritu at ang Diyos ay tila malayo? Para sa marami ang paksang ito ay maaaring mahiwaga, mahirap maunawaan at nakakalito. Sa paksang ito ay napakaraming maling pagkaunawa. Ang kalipunan ng walong mga mensaheng ito ay maaaring makatulong sa pagkaunawa kung ano ang pananampalatayang naaayon sa Bibliya, at kung paanong ang isang tao ay makakapagpanatili ng hindi nagmamaliw na pananampalataya at isang pusong nag-aalab para sa Diyos sa lahat ng mga pagkakataon. Nagkaroon ako ng pribilehiyo na isalin ang aklat na ito sa wikang Pilipino. Bagaman minarapat ng mga patnugot na gamitin ang pamagat na “Taong May Pananampalataya” sa bersyon nito sa Pilipino (sa halip ng tuwirang salin na “Tao Ng Pananampalataya” dahil sa pangambang baka maging asiwa ang tunog ng pamagat sa mga mambabasang hindi pamilyar sa pananampalatayang-Kristyano at hindi na basahin ang aklat)—ngunit ang nilalaman ay mabisang nagpaliwanag ng pagkakaiiba. Ang isang tao ng pananampalataya ay pinag-iiba sa isang taong may pananampalataya lang. Bawat tao ay maaaring mag-angkin na siya ay may pananampalataya ngunit hindi lahat ay maaaring ituring na isang tao ng pananampalataya nang may katotohanan. Maingat na inilatag ni Bro. Kou ang kanyang sasabihin tungkol sa pananampalataya at sa tao ng pananampalataya sa malalim at mapagwaring paraan na maaaring masiyahan ang mga teologo, ngunit simple rin na kahit ang mga hindi mananampalataya ay maaaring makinabang dito. Sa unang mensahe ay ipinaliwanag niya ang pananampalataya sa pamamagitan ng dalawang aspeto: paniniwala sa katotohanan ng mga Kasulatan at sumasampalatayang tugon dito—iyon ay, pagtitiwala sa Diyos ayon sa mga Kasulatan at pagsunod sa Kanyang Salita. Pagkatapos ay nagbigay siya ng mga dahilan tungkol sa kahalagahan at pagkamakabuluhan ng pamumuhay sa pananampalataya at itinuturo niya tayo, na mga mambabasa, na tumutok sa mga tunay na mahalaga: ang hindi nakikitang mga katotohanan ng kaharian ng Diyos. Tunay ngang napakahalaga nito sa ating kasalukuyang kalagayan, na ituon natin ang ating mga isip sa hindi nakikitang mga bagay ng kaharian at doon natin itatag ang ating pananampalataya upang hindi tayo mailigaw ng ating likas na pagkahilig sa mga nakikitang bagay ng panahong ito. Sa ikalawa hanggang sa ikawalong mensahe ay patuloy na tinalakay ni Bro. Kou ang mga pagkilos ng buhay ng pananampalataya. Ang pananampalataya ay dapat nakasentro kay Kristo. Ito ay nagsisimula kay Kristo—na nakikilala kung sino Siya at ano ang Kanyang ginawa at nagpapatuloy kasama ni Kristo. Ito ay lumalago habang ito ay ipinamumuhay ng Kristiyano sa pagsunod sa Salita ng Diyos. Ang buhay ng pananampalataya nina Maria, Moises, Pablo at Jose, na ginamit ni Bro. Kou, ay mabisang mga paglalarawan ng ganoong pagsunod. Sila ay mga taong inilarawan at ang mga buhay ay ginugol ng pananampalataya sa Diyos at sigasig para sa Kanyang kaharian. Sa pangkalahatan, ang aklat na ito ay nakakatulong sa atin na mas maunawaan ang likas at pagsasagawa ng tunay na pananampalatayang ayon sa bibliya, at sa mas malalim na pagkaunawa ay makakapagsikap tayo, sa pamamagitan ng biyaya ng Diyos, na maging mga lalaki at babae ng pananampalataya, na siyang dapat nating maabot bilang mga alagad ng Panginoon. Napagpala ako sa pagsasalin ng aklat na ito. Dios se deleita en lo profundo de Su corazón cuando Sus hijos aprenden a caminar verdaderamente en fe, pero... ¿qué es realmente la verdadera fe y cómo podemos vivir por fe? 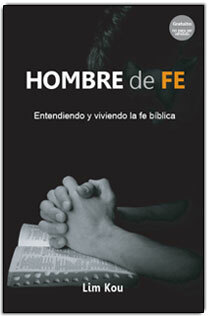 ¿Tener fe significa creer en lo que no vemos? ¿Acaso significa creer sin una buena razón y actuar sin entendimiento? ¿Significa creer en algo de manera sincera y firme, con la disposición de actuar en consecuencia? ¿Por qué tenemos que vivir por fe para obtener la aprobación de Dios? ¿De dónde surge la fe, y cómo se desarrolla? ¿Cómo podemos ejercitarla cuando nos sentimos secos espiritualmente y Dios parece estar muy lejos? Puede que muchos consideren que este tema sea misterioso, difícil de entender y confuso; al respecto abundan las interpretaciones erróneas. Esta colección de ocho mensajes puede contribuir al entendimiento de lo que constituye la fe bíblica, y a cómo podemos mantener la fe inconmovible y el corazón ardiendo para Dios bajo cualquier circunstancia. En las escrituras el concepto de la fe parece ser bastante claro y sencillo. Pero nosotros los cristianos solemos complicar el asunto en nuestro andar diario al desarrollar definiciones de la fe que han sido inventadas por los hombres. Luego intentamos vivir nuestras vidas por esos falsos estándares. Muchos creyentes se han encontrado tristes y desilusionados no porque el Señor le haya fallado de alguna forma sino porque han tenido falsas expectativas que luego no fueron alcanzadas. Estas lecciones de la vida son difíciles (¡hablo por experiencia propia!) pero son necesarias para vivir una vida de fe que verdaderamente le complace a Dios. Hombre de Fe por Lim Kou le ayuda al lector ver claramente los conceptos falsos de la fe que son tan comunes en nuestras iglesias hoy en día. La pequeña sección al principio del libro habla acerca de las concepciones erróneas de lo que es la fe sirve como una diagnosis experta de la forma en que muchos creyentes se han desviado con respecto a su forma de pensar. Y el resto de este excelente libro nos enseña lo que la fe realmente es y cómo se expresa normalmente en nuestras vidas diarias. Por esta razón Hombre de Fe es un libro digno de la atención de cada creyente. Christians must be on guard against the enticements of worldly strength and power and, at the same time, recognise that God wants us to be truly strong. What does it mean to be truly strong? Why is it important to be truly strong? 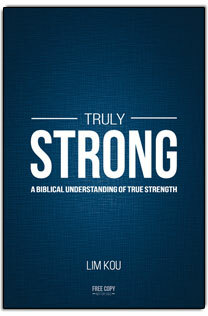 What is the relationship between being truly strong, how well a person is faring, and the fulfilment of God's purposes? How can we become truly strong? Many Christians are attracted by manifestations of spiritual power. Is this good or bad? What dangers do we need to be mindful of in such contexts? Is the manifestation of spiritual power in and through a person's life an indication that this person is truly strong? This book can contribute towards a wholesome understanding of these issues and how God's children can become truly strong, firmly grounded in the Scriptures and in a deep personal relationship with God. Los cristianos debemos estar alertas contra los incentivos de poder y de fuerza que el mundo exalta y, a la vez, reconocer que Dios quiere que seamos verdaderamente fuertes. ¿Qué significa ser verdaderamente fuerte? ¿Por qué es importante serlo? ¿Cuál es la relación entre el ser verdaderamente fuerte, el hecho de cuán bien le va a una persona, y el cumplimiento de los propósitos de Dios? ¿Cómo podemos convertirnos en personas verdaderamente fuertes? Muchos cristianos se sienten atraídos por las manifestaciones de poder espiritual. ¿Es esto bueno o malo? ¿Cuáles son los peligros que necesitamos tener en cuenta en tales contextos? ¿Es la manifestación de poder espiritual, en y a través de la vida de una persona, una indicación de que esta persona es verdaderamente fuerte? 그리스도인들은 세속적인 힘과 권력이라는 유혹에 넘어가지 않도록 조심하고 경계해야 한다. 동시에 우리가 정말로 강한 사람이 되기를 하나님이 원하신다는 사실을 알아야 한다. 정말로 강한 사람이란 어떤 사람인가? 정말로 강한 사람이 되어야 하는 이유는 무엇인가? 정말로 강한 사람이 되는 것과 잘 살아가는 것과 하나님의 목적을 성취하는 것 사이에는 어떤 관계가 있는가? 어떻게 하면 정말로 강한 사람이 될 수 있는가? 영적인 능력이 외적으로 드러나는 현상을 보고 마음을 빼앗기는 그리스도인들이 많이 있다. 그렇게 매료되는 것이 좋은 것인가? 아니면 나쁜 것인가? 그런 현상이 일어날 때 우리는 어떤 위험들에 유념해야 하는가? 한 사람의 삶 속에서 또는 그 사람의 삶을 통해 영적인 능력이 드러날 때 그것은 곧 그 사람이 정말로 강한 사람이라는 사실을 보여주는 것인가? 이 책은 이런 이슈들을 건전하게 이해하는데 도움이 될 것이다. 그리고 하나님의 자녀들이 성경에 근거를 두고 하나님과 개인적인 교제를 깊이 나누면서 어떻게 하면 정말로 강한 사람이 될 수 있는지를 알아가는 데 도움이 될 것이다. 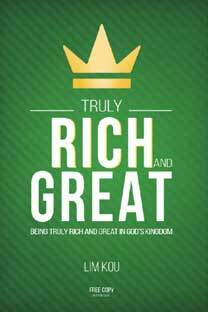 Many people in the world are preoccupied with the pursuit of material riches and worldly fame, status and greatness. They regard these as important goals in life and see how one fares in these areas as indicators of success. Such worldly pursuits are futile, bring no true fulfilment and ruin many lives. God’s children must guard against such preoccupations and pursuits. At the same time, they have to recognise that being truly rich and great is extremely precious and of enduring value. It is crucial for believers to see clearly the biblical teaching on these important issues. How we understand these areas and what we are committed to will have a direct bearing on our personal relationship with God, our growth in moral and spiritual stature, and how effectively we participate in the fulfilment of God's purposes. May this book contribute towards a wholesome understanding of these issues. May it help God's children to be truly rich and great in His kingdom. Muchas personas en el mundo están preocupadas con la búsqueda de riquezas materiales, fama, estatus y grandeza según los criterios del mundo. Para ellos éstas son metas importantes en la vida y consideran que alguien es exitoso según su desempeño en estas áreas. Tales búsquedas mundanas son triviales, no traen verdadera realización y arruinan muchas vidas. Los hijos de Dios deben protegerse contra semejantes preocupaciones y búsquedas. Al mismo tiempo, deben reconocer que ser verdaderamente rico y grande es sumamente precioso y de un valor perdurable. Resulta crucial que los creyentes comprendan con claridad la enseñanza biblica sobre estas importantes cuestiones. Nuestra compresción de estas áreas y a que nos dedicamos influirá directamente en nuestra relación con Dios, en nuestro crecimiento moral y espiritual y en la efectividad de nuestra participación en los propósitos de Dios. Que este libro contribuya a una comprensión sana de estas cuestiones. Que ayude a los hijos de Dios a ser verdaderamente ricos y grandes en Su reino.